Mahala Reed Keenan was born on May 30, 1844 in Shelby County, Indiana, the daughter of John Overpeck and Elizabeth Ann Rouse Reed. She died on Jan. 26, 1900 and is buried at Keenan Cemetery near Floresville, Texas, 13 miles southwest of where Sunday's (11/5/17) shooting occured at the First Baptist Church in Sutherland, Texas. Where Mahala is buried contains only one grave marker, a very tall marble stone, that signifies the graves of Mahala and her son, Elva. A biblical inscription on the front of the stone reads: "Whatsoever ye shall ask in my name, that will I do. John 14, 13." Mahala, Elva and a few others had undertaken a wagon journey from Kentucky to Texas in 1899 as Mahala sought a healthier place to live and breathe as she was suffering from tuberculosis at the time. 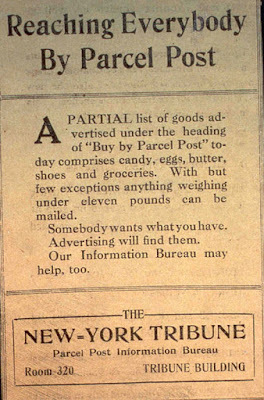 But, shortly after her arrival there in 1900, she succumbed to tuberculosis. Elva, who also died from tuberculosis, was buried in the same grave as was his mother. Mahala was known as a "revivalist" minister. Until she had a church, she preached anywhere that a group could be assembled, mostly to share croppers or poor whites. She was known to ride a white donkey side saddle through the hills of Kentucky singing as she traveled. Her mother died when she was three years old. She traveled to Clay County, Illinois with her father where she eventually met and married Patrick Keenan (1822-1896). They returned to his home near Falls of Rough, Kentucky where, in 1887, they and others built and founded Keenan Chapel at Hickory Lick in Breckinridge County. 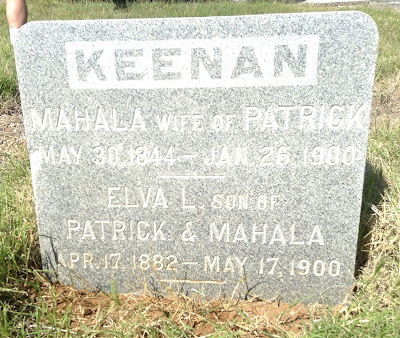 Patrick died in 1896, and later that year, Mahala moved to the Highway community in Clinton County, Kentucky. 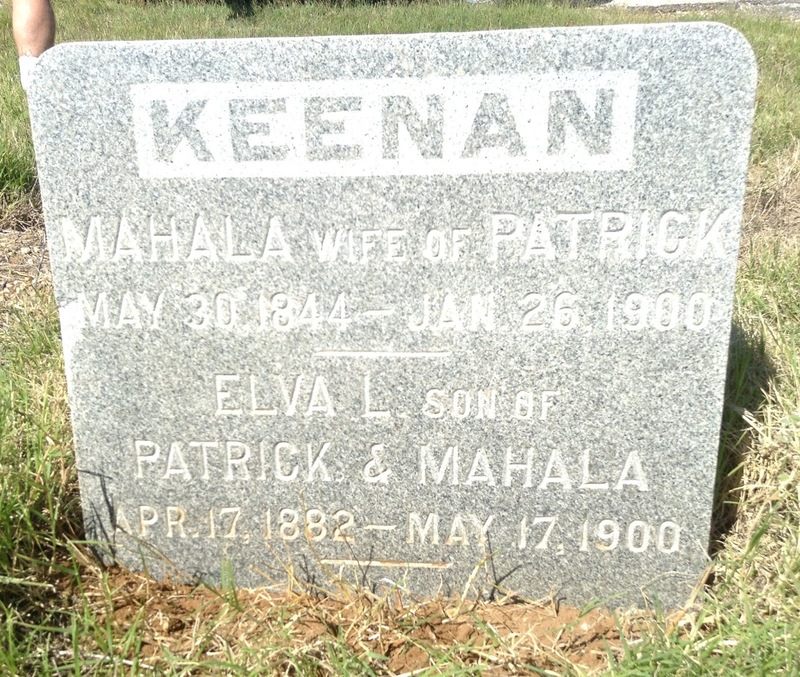 Mahala was extremely devoted to Methodism and at Highway, Methodist minister John Samson Keen had organized Bible Mission School and Orphanage, a Methodist academy for young boys that had begun in 1891, and Mahala wanted her sons to be educated there. But, Mahala's health had been poor for several years and she needed warmth to assist her in her recovery. So, in 1899, Mahala, her son and the others headed to Floresville, Texas, which was known to have a number of well respected Methodist ministers living there. The story goes that when Highway was to be formally organized as a township, the place had no name assigned to it. The preacher at the ceremony said that he would open his Bible and point to a verse and the landing point of his finger would become the name of the community, thus Highway became the name. Which verse was it that the preacher pointed to? 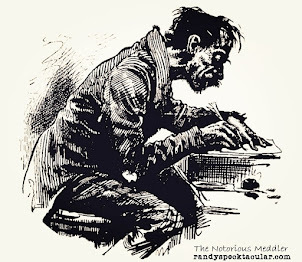 That wasn't mentioned in the account of Mahala Keenan, but there are several verses in the bible that mention "highway" or "highways," including Luke 14:23, which says "And the lord said unto the servant, Go out into the highways and hedges, and compel them to come in, that my house may be filled" and Isaiah 35:8, which says, "And an highway shall be there, and a way, and it shall be called The way of holiness; the unclean shall not pass over it; but it shall be for those: the wayfaring men, though fools, shall not err therein."